Posted by Carolyn Burns Bass in bestsellers, commercial fiction, literary fiction. Charles Dickens was a master of reflecting both the light and dark sides of culture, yet his books featuring children as characters are among the most beloved novels of all time. Mark Twain made life on the Mississippi in a bygone era believable through two precocious boys. To Kill a Mockingbird wouldn’t have the same brilliance had it been written from the perspective of Scout’s father, rather than through the eyes of a feisty grade-school girl. These, along with many other contemporary novels, feature memorable children as protagonists in stories larger than life. This is our topic of the week for May 23-27. Joining us to talk about writing memorable children on Friday, May 27, is Caroline Leavitt, author of nine notable novels, including the recent NY Times Bestseller, Pictures of You. In Pictures of You, two runaway women collide on a foggy Cape Cod highway; one of them lives, the other one perishes. Nothing bound the two women before the accident, yet afterwards they become entwined in the life of one little boy, the precious Sam who loses his mother in the tragedy. This beguiling story is wrought with restraint, the story unfolding through a fog of realism that resists predictability, lifting to a bittersweet ending. Pictures of You, features a child so perfect and yet so damaged, you want to reach through the pages and pull him to your heart. In addition to writing fiction, Leavitt is a book critic for The Boston Globe and People. She won a 2005 honorable mention, Goldenberg Prize for Fiction from the Bellevue Literary Review, for “Breathe,” a portion of Pictures of You. Leavitt has been a judge in both the Writers’ Voice Fiction Awards in New York City and the Midatlantic Arts Grants in Fiction. She is an award-winning senior instructor at UCLA Writers Program online, where she teaches “Writing The Novel” online, and she also mentors privately. Leavitt’s essays, stories and articles have appeared in Salon, Psychology Today, New York Magazine, Parenting, The Chicago Tribune, Parents, Redbook, The Washington Post, The Boston Globe and numerous anthologies. She has appeared on The Today Show, Diane Rehm, German and Canadian TV, and more, and she has been featured on The View From The Bay. 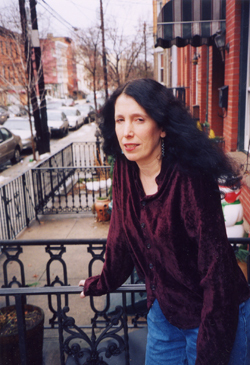 Leavitt lives in Hoboken, New Jersey, New York City’s unofficial sixth borough, with her husband, the writer Jeff Tamarkin, and their teenage son Max. Follow Caroline Leavitt on Twitter: @leavittnovelist.